This drum and bass collective born in 2015 and based in Bologna, Italy is a three man powerhouse consisting of Geenobronx - Davide Giampaoli, Nolog - Luca Laggetto and Enrico Branchini. 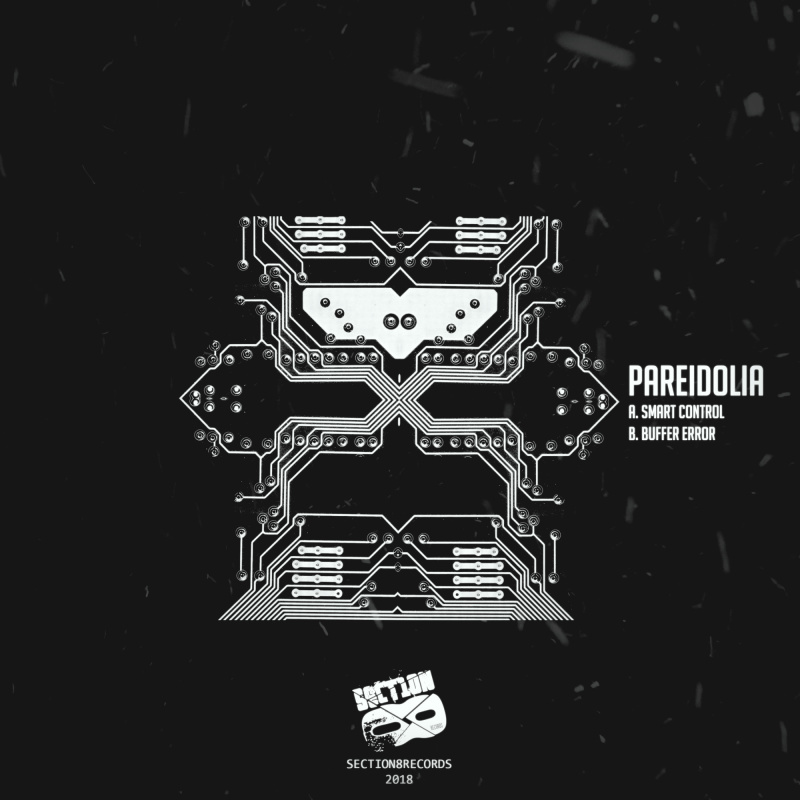 Pareidolia returns to Section 8 with 2 gnarly drum & bass tracks. Paradolia deliver raw in your face direct neuro tech to the brain here. Smart Control is heavy and funk with a minimal vibe. Edgy and sharp bass cuts run the show. While Buffer Error delivers a very futuristic quantized offering. Well received by some of the finest names in the industry. Support on dancefloors worldwide from the likes of Noisia, Mefjus, Nickbee, Black Sun Empire, Neonlight, Telekinesis, Rido, Disprove and Recall to name a few. An impressive roster of tracks released on Modulate Recordings (IT), Section8 (US), Dbox Records(IT) and High Scream (IT) is keeping their demand growing with innovative djs globe over.